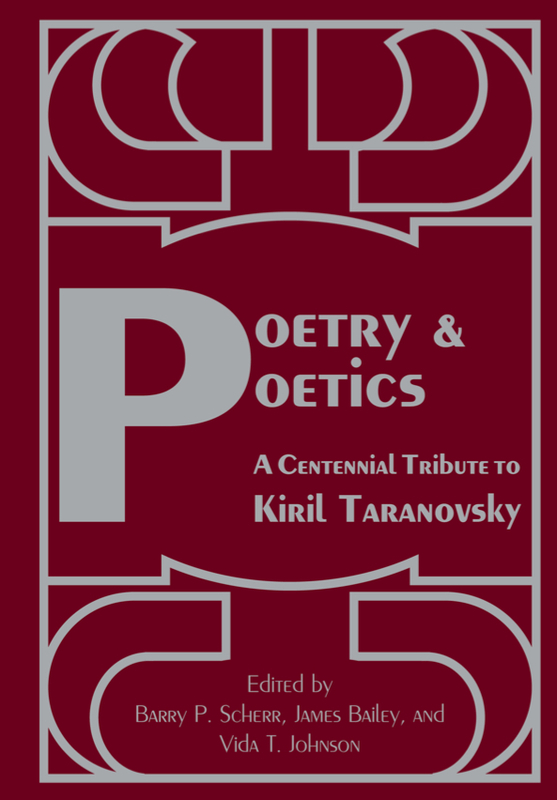 During a distinguished academic career at Belgrade University, UCLA, and Harvard University, Kiril Taranovsky became extraordinarily influential for his contributions to verse theory and for studies devoted to Russian poets, especially those of the Silver Age. His statistical approach to versification led to fundamental findings that have become integral to the understanding of the nature and the history of rhythm and meter, while his investigations of individual poets, with a particular emphasis on Mandel´shtam, led him to define the notion of “subtext” and to examine poems not as isolated texts but as “open,” revealing links to other works and authors. This volume grew out of a conference held at Dartmouth College to mark the 100th anniversary of Taranovsky’s birth. It contains articles on poets from the 18th through the 20th centuries, which honor and reflect his broad interests in Russian poetry. Several contributions investigate aspects of Russian versification, and a final section presents reflections on Taranovsky’s legacy. The possible links between verse form and meaning, a field he pioneered in a seminal article on Lermontov, constitute a recurrent theme. The book concludes with a set of previously unpublished letters, which offer insights to both the man and his ideas.